Local groups and organizations can make a difference in their community, and the environment. By becoming a part of the Adopt-A-Highway program, both can be accomplished at the same time. 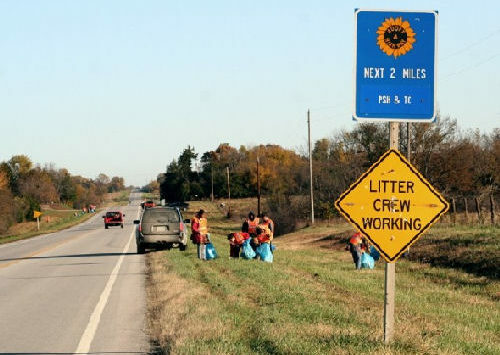 According to the Kansas Department of Transportation, the goal of the Adopt-A-Highway program is to clean along the roadways throughout the state to increase safety for motorists and pedestrians as well as improve the beauty of Kansas. This helps to raise awareness on the negative effects of pollution and the positive aspects of a clean community.